We’ve heard time and time again that sugar, from sticky candies to syrupy sodas, is no good for our teeth. But what about when it comes to gum? Many chewing gum products contain sugar, but there are also plenty of sugar-free options out there. We’re not here to force you to give up something completely, but as your trusted dental advisors, we can say that we highly recommend going the sugar-free gum route. Here’s why! 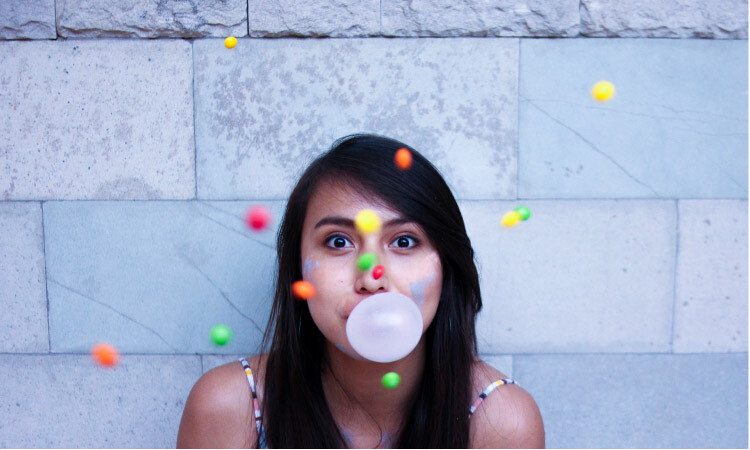 Chewing sugar-free gum can actually do more than just freshen up your breath. It can be a cavity fighter! The act of chewing produces saliva flow, which is good for your dental health because that saliva washes away food particles, neutralizes acids, and supports your enamel strength. When you chew gum with sugar, you’re still producing that extra saliva, but the sugar ends up doing some damage by feeding acid-causing bacteria. With sugar-free gum, you don’t have that extra concern.